Our mission is to advance brain injury prevention, education and support in order to reduce injury, and improve the quality of life for all those who are affected by its life altering effects. 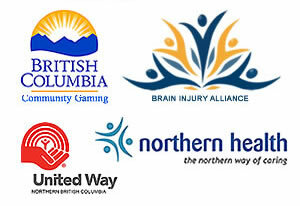 Thanks to an amazing network of community partners, volunteers, local facilitators, support groups and generous funders, we are proud to be northern British Columbia’s voice of brain injury. Northern British Columbians live, play and work in some of the most rugged and dangerous geography in the entire world. Our days are filled with activities and behaviors that produce endless risks for sustaining injury to our body’s most complex organ, our brain. The result is more than 22,000 British Columbians experiencing brain injuries every year. The Northern Brain Injury Association provides referrals, direct and remote case management services, and a wide range of educational activities and injury prevention events tailored to the specific needs of individuals and communities. Our goal is to assist those living with a brain injury to accomplish community reintegration, by providing the flexibility of innovative adaptation and response. We respect the many diverse cultures we serve, and work collaboratively as a team to achieve client and family goals, specific to each unique set of circumstances. 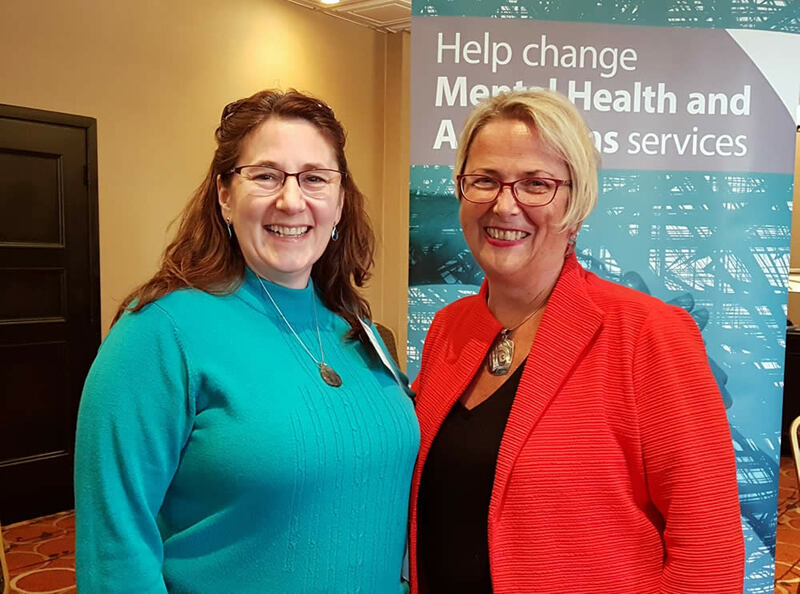 Minister of Mental Health & Addictions Judy Darcy in Terrace. 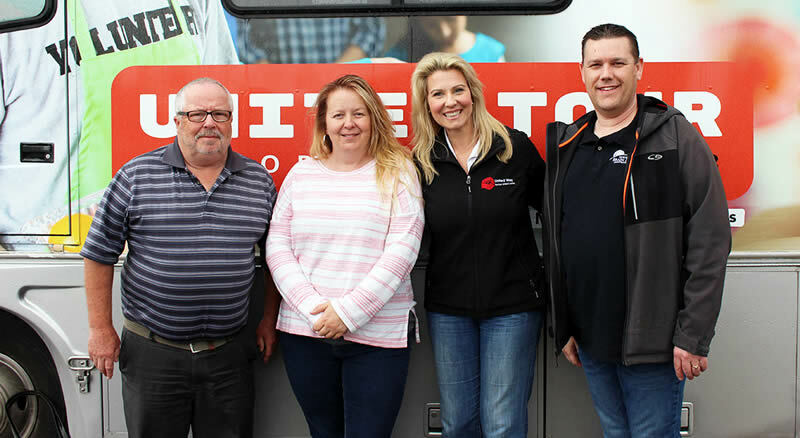 (L to R) An unnamed individual joins NBIA Case Manager/Facilitator Lisa Doucette, United Way Northern BC’s Executive Director Roberta Squire and NBIA Community Coordinator Ryan Challen, in Vanderhoof to support and celebrate the United Way’s northern tour. Thank you United Way Northern BC for helping to make a way when there is no way! Brain injury is one of the three top causes of death and disability worldwide. Brain injury is the number one cause of seizures in the world. Cerebrovascular Accidents (Strokes) are brain injuries. 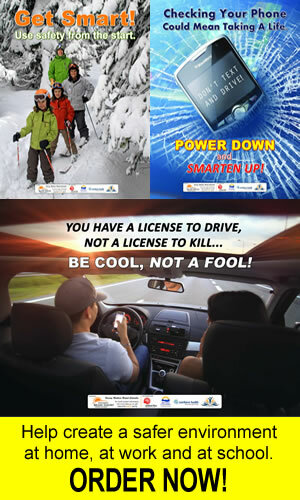 Auto crashes are the number one cause of traumatic brain injury in British Columbia. Falls are also a major cause of brain injury, and the number one location for falls is in the home. Acquired brain injury is the leading cause of death and disability for Canadians under the age of 40. The incident rate of brain injury in British Columbia is approximately 60 cases per day. That is 21,900 serious injuries to brains every year. It is estimated that there are over 180,000 persons in British Columbia currently living with mild to severe acquired brain injury. 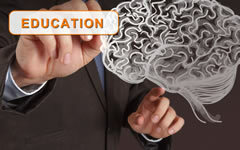 Many thousands of persons with brain injuries face serious employment and social challenges. The current annual rate of brain injury in British Columbia is greater than those of breast cancer, multiple sclerosis, HIV/AIDs and spinal cord cases combined. Each severe brain injury costs our medical system over $1,000,000 at the time of injury, and approximately $400,000 every year thereafter. 60-80% of inmates have suffered at least one serious brain injury. Most will never receive treatment, and will likely return to prison. 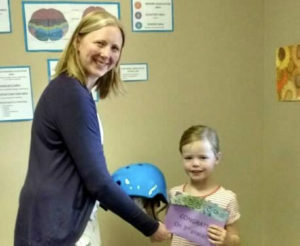 Kinley receiving her Happy Helmet contest prize. She is very excited to be buying Barbies with it!